As the 20th year passes since the West waged war against the late Saddam Hussein and the state of war slips into greater violence in Iraq and Afghanistan, there is another war being waged today, one which gets little coverage on TV, radio and newspapers. That war has its own psychic and physical carnages, its losses, its losers – and yes, its winners. The losers have been forced out of their homes. They have been forced out of their jobs. Some have been driven to the mouth of madness and beyond. And yes, there has been death, but again, this has been hidden from published view. That’s because this war has been essentially a class war – a war against the poor and working classes, on behalf of the ruling classes and the financial industry. The weapons of this war have been joblessness, foreclosures and tightening of credit lines. And while money has been withdrawn from the purses and pockets of millions, public monies have been used to top off the coffers of the banks, but also to fund mad wars abroad – like the almost $3 trillion to fund the forays into Iraq and Afghanistan, often to undergird the corrupt and narco-kleptocratic governments in power. It bears repeating; trillions in public monies are being spent to fund utterly unnecessary wars abroad, and hundreds of billions are doled out to private banks and financial institutions, while joblessness, homelessness and hopelessness swells to truly epidemic levels, not seen for generations. Schools are crumbling – when they function, which is rarely – libraries are closed, public services dry up like rain on summer bricks. And prisons burst at the seams. Wars are always against both sides – the victors and the losers. And in the age of the military industrial complex, war becomes the fuel of wealth for a narrow ribbon of businesses. It brings about the very woes of the instant recession: joblessness, foreclosures, homelessness and yes – hopelessness. It is a war against ourselves. © Copyright 2010 Mumia Abu-Jamal. Read Mumia’s latest book, “Jailhouse Lawyers: Prisoners Defending Prisoners v. the U.S.A.,” available from City Lights Publishing, http://www.citylights.com/or (415) 362-8193. Keep updated at http://www.freemumia.com/. For Mumia’s commentaries, visit www.prisonradio.org. For recent interviews with Mumia, visit www.blockreportradio.com. 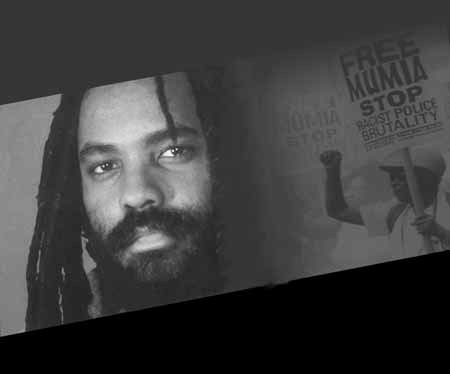 Encourage the media to publish and broadcast Mumia’s commentaries and interviews. Send our brotha some love and light at: Mumia Abu-Jamal, AM 8335, SCI-Greene, 175 Progress Dr., Waynesburg PA 15370.